Here we are in the home stretch and our little boy’s room is all ready for him to come home! Overall, I love our nursery. It didn’t really come out at all how I envisioned it many months ago, but it’s morphed into a cheerful and bright space that I love to be in. 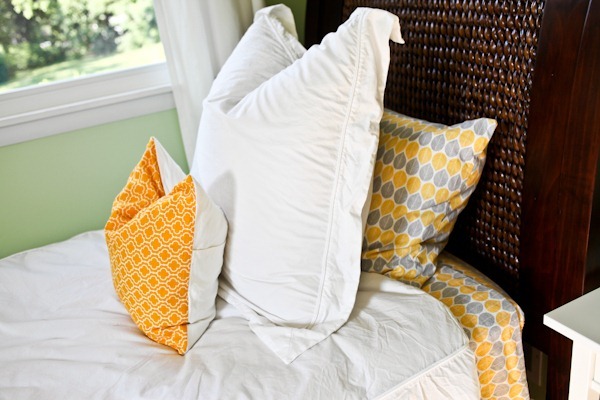 I went from a vision of all grey + yellow + white to a more varied palate with touches of teal and modern elements. 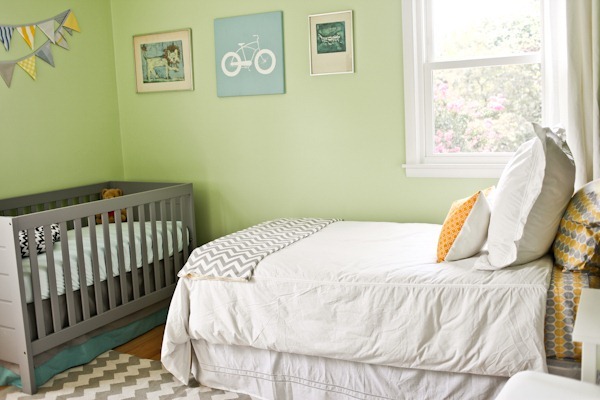 As he grows older, we can take out some of the baby items and pastels and add in more modern elements and bright colors. Links to all items at the bottom of the page! The nursery room already had a twin bed in it, so we decided to keep that as a parents’ bed and work surface. It’s already been really great for folding laundry and I can imagine changing outfits too. And of course sleeping! The blanket at the bottom breaks up the white bedspread (which we already owned) without having to go all out on a matching one. Also will be good for removing for playing or protecting the duvet from explosions! The nightstand next door houses the parent base for our monitor and sound machine plus a drawer filled with midnight snacks for mom. 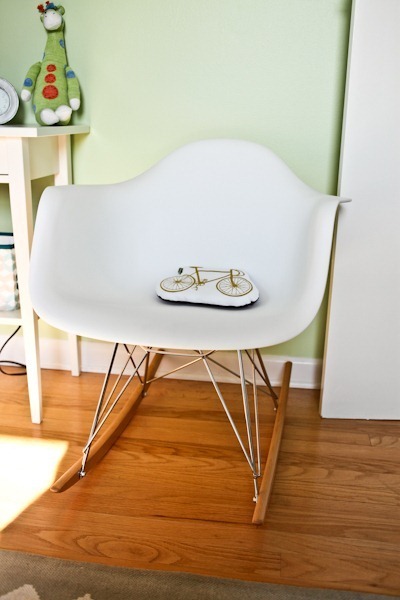 And below you’ll find one of my favorite pieces – a modern rocker from Amazon. It’s SUPER comfortable (although not glider level) and will make a great seat for a quick rock, storytime or nursery visitor to sit. I like that it’s smallish for my 5’2” frame and the back comes up high and there are arm rests for extra support. When you sit in it you are slightly reclined, which is why it’s so comfy. 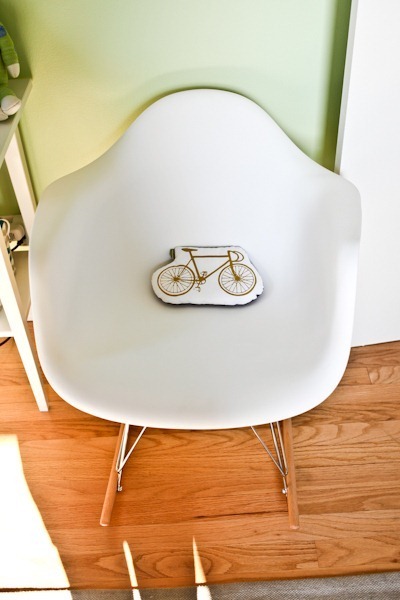 The bike pillow is another Etsy touch! 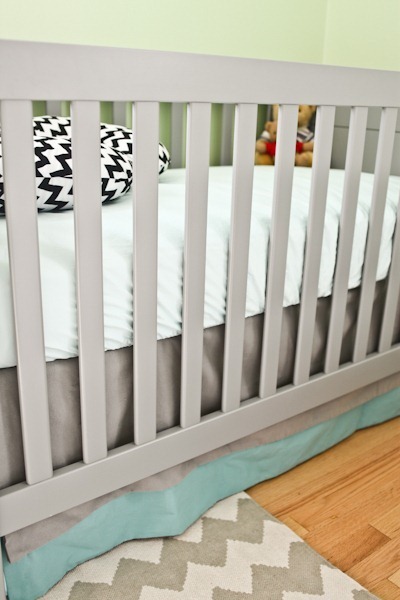 The rock ‘n play sleeper will be where babe sleeps next to the bed until he is ready for the crib. We decided it made more sense to move us parents into the nursery than whole nursery into the master bedroom. Plus the two rooms are about 10 feet away from one another, so it’s almost like one big suite. I love how easily this folds away should we need to tidy up for company or make more rug space for playing. 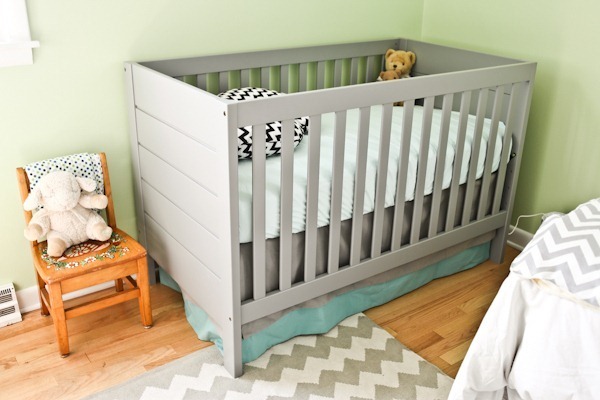 Love our modern grey crib – such a great price for $199. The crib skirt was made by my friend Lynsie! 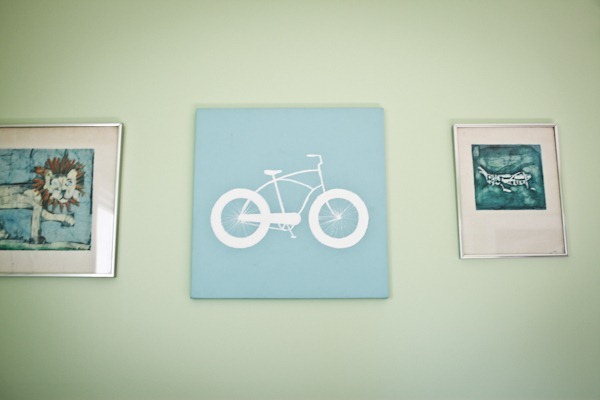 The two batik paintings of a lion and grasshopper were done by my grandmother many years ago, and Matt painted the bike on a Michael’s canvas. We just lucked out that the colors matched so well! Next to the crib is a little chair my grandmother hand painted with a snail! 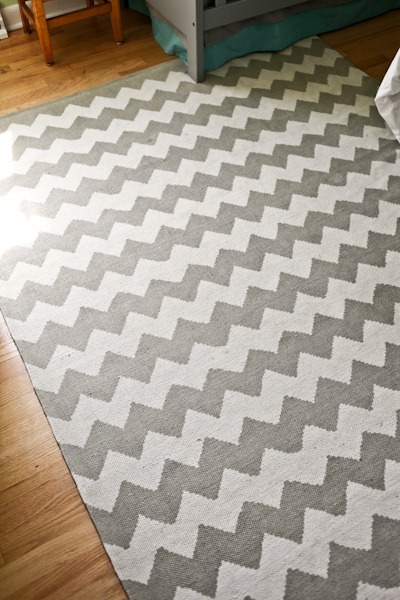 Love our Urban Outfitters rug! Such a steal for $75! I did have to buy a pad for underneath too. 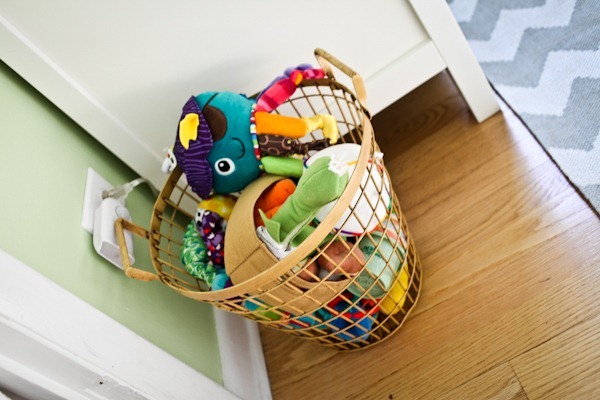 A family friend gave us this vintage-y basket now filled with baby toys! 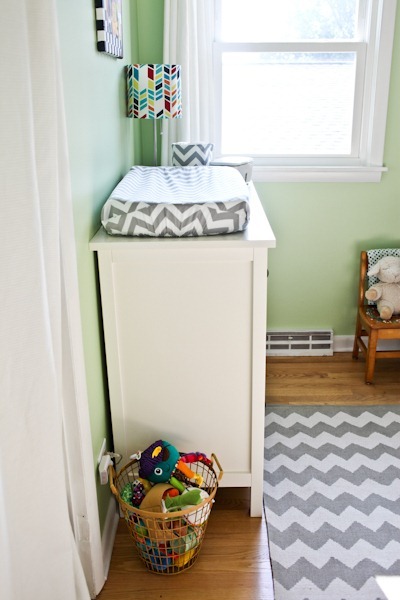 Our changing station is an IKEA dresser. 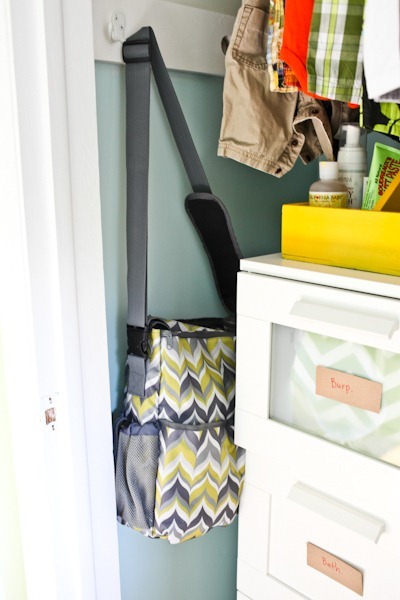 We have our diaper bag hanging by a hook on the right side of the dresser. The animal painting is another of my grandmother’s! The little bin matches the floor one from Etsy. The changing pad is an Amazon best-seller by LA Designs with a Carousel Designs cover. It’s all mounted to the wall and secured to the dresser top for safety. I have a waterproof pad that I’m going to lay on top for protection when it’s actually time to change a diaper! 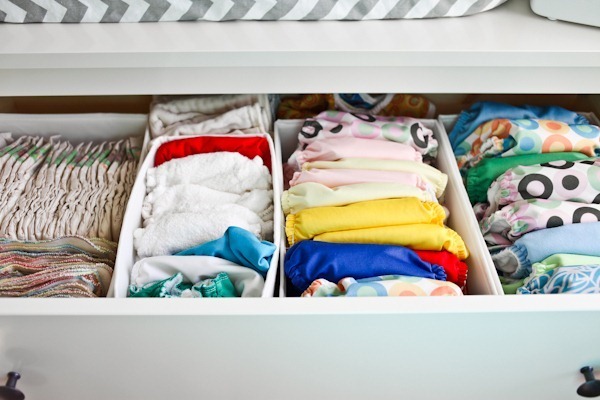 Drawer #2 is filled with onesies – small (newborn), medium (0-3) and large (3-6) sizes! Sleep sacks on the right. 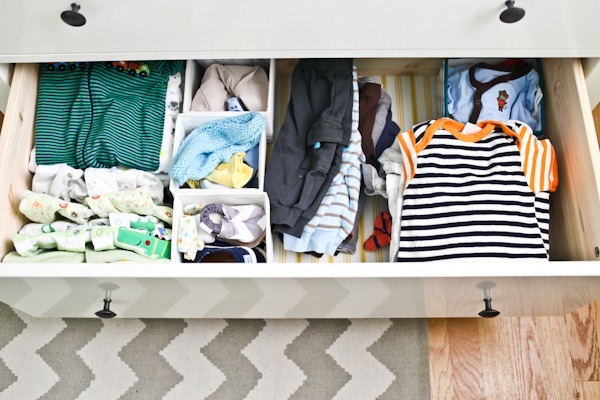 And our bottom drawer is filled with more clothes – sleepers, outfits, shoes, hats, pants! All <6 months size. 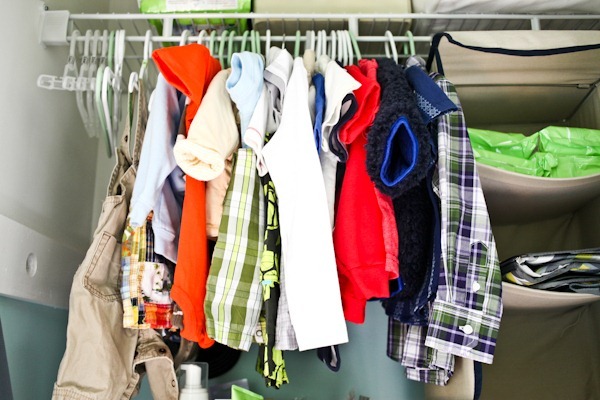 The big boy clothes are waiting in the closet! Along with IKEA drawers filled with useful things like burp cloths, bibs, towels, blankets and crib sheets and baby toiletries on top in a yellow box my grandmother gave me and I painted. 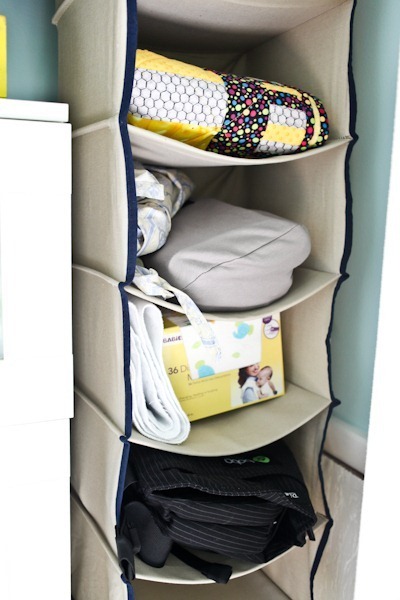 And some hanging shelves with things like baby carriers, extra blankets, nursing covers, waterproof pads. And last but not least, a nice hook for the diaper bag!! Fan was painted white by me! All artwork made by my grandmother and husband! Really pretty and so coordinated! All it needs now is your wonderful new addition! Also, not sure if you’re aware there are LOTS of reviews on the rocknplay sleeper causing babies to have flat heads. You may want to find an alternative spot for him to sleep. Honestly, I think the whole flat head thing has to do more with the fact that our culture tends to be constantly putting our babies IN things instead of carrying/holding them. I call this phenomenon “container parenting” or “plastic parenting”. Just look at all the “things” people buy to put their babies in: constant carrying in car seats, pack and plays, bouncy seats, swings, bassinets, strollers etc… Not to say these things are all bad, just that I think parents rely on them too much to “hold” their babies. I carried my three boys in slings most of the time and never let them sleep in their car seats (they’re called car seats for a reason…leave them in the car 😉 We also co-slept so my babies were not laying flat in a crib a lot. None of my three boys had any issue with “flat head” syndrome so I have to think it has to do with the fact that I wasn’t constantly putting them IN something where they are laying flat. I tend to agree with you. Because “it takes a village to raise a child” women used to have a lot more hands around to hold their babies if they needed their own hands or a break (or they were all sling!) But since women are often home alone now, they have to rely on seats for help. It’s a tough situation we’re in! I hope to do lots of baby wearing but I hope he likes it! I haven’t met a newborn yet who doesn’t LOVE the Moby! Newborns will like anything that reminds them of being in the womb and the Moby does the best job of that of any sling I have tried in the past 15 years. I think the problem comes when moms don’t use or try a sling until the baby is a few months old and by then they aren’t used to it. Over the past few weeks, I have demonstrated the Moby to 3 brand new moms and all three wanted to kiss me they were so happy LOL Mostly happy to have their arms/hands back and be able to do things while they held their baby but also because their babies loved it so much and it calmed them instantly. One of the moms had (and I’m not kidding you!) 5 different bouncy seats/hammock seats that she said she was trying because her little boy just would not stop fussing and crying (he was 2 weeks old). Luckily I had my Moby in my car that I use for demonstrating so I ran out and grabbed it and put it on and showed her how to use it. He fell asleep the second I put him in it and then I had her try it. About 3 hours later I got a text from her saying he was STILL sleeping and she was so very happy 🙂 A few days later she sent me a pic of her very “manly” husband wearing Cooper in it with a huge smile on his face–it was priceless! Oh good 🙂 I have the Boba, which I believe is just like the Moby. I tried it on for practice and it was fun to wear! good point, I call those seats baby recliners. I see parents hauling year old babies in those things. I always wonder why parents cant just hold them. I work in a hospital and here comes mom and dad in for a blood test with this 7 pound lttle person in this big old seat. We held our babies and there was no such talk of flat heads. Plus we spead blankets on the floors and allowed them to play and flip over . Didnt need all this stuff everyone has now days. I’ve used the RNP for two kids now and, gasp, no flat heads in our house. Really? If there is talk of a recall here that would change my tune a little. I’ve just heard the number a small percentage and it was babies who were in it all day and night. I’m a Canadian and bought a Rock and Play Sleeper. Can you please send me a link to information about the recall? I won’t use it if this is the case. Thanks! I’m not surprised — when I looked at it, I was suprised that Kath was going to let the baby sleep in it all night because it doesn’t look like a “sleeper” at all! It definitely looks like one of those little seats where people put their babies for a few minutes at a time, but not for hours on end. The product itself is still sold. They just recalled the name “sleeper” and it’s now just a chair. You can always just use it and monitor his head ( which your DR will do anyways). I’m reading more now and it seems that the head stuff is 1) either congenital or 2) from not switching their head sides at night regardless of sleeper or 3) because babies spend so much time in car seat, swing, bounced, etc. In general. We’re only planning to use ours at night, and I’ll keep an extra close watch. Maybe the crib switch will happen faster since ill be in that room sleeping close anyway. And one last thing… I’m not trying to be so defensive about a product, but it was a gift and I hate not to use it just a little. Don’t want my friend to feel bad! We have a bassinet that we are planning on using next to our bed but I got the rock and play as a gift also. I thought it would be good to have because I had heard from many friends that their babies needed the incline because of reflux. I figured it would be good to have it just in case. LIke you, I don’t plan to have her in there all the time, just at night if we need it. I wouldn’t worry too much about it. Like you said, you are planning on doing a lot of baby wearing and tummy time, your dr will monitor the baby’s head, and you will be on close watch. I think he will be fine! We used the rock n play only at night and my son got a flat spot. We did lots of tummy time and he was held a lot so it wasn’t that. What I did though was put a blanket in between the hard backing and the fabric. It softened it up a bit and the baby couldn’t get to the blanket. It’s a great product it’s just too hard. Also, the nursery looks great! 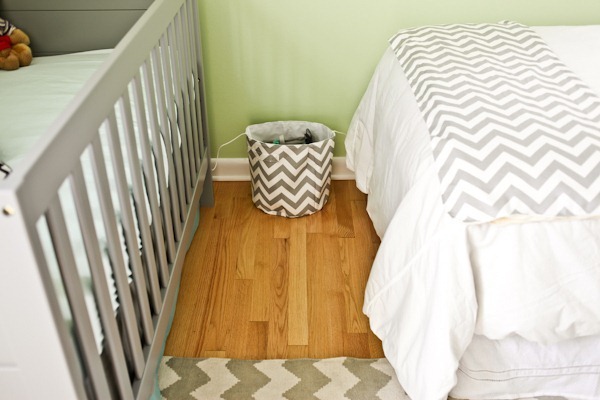 The bed will be a great place for diaper changes, too. I just got the rockN’play for my now (gasp) 12 week old b/c of reflux issues. 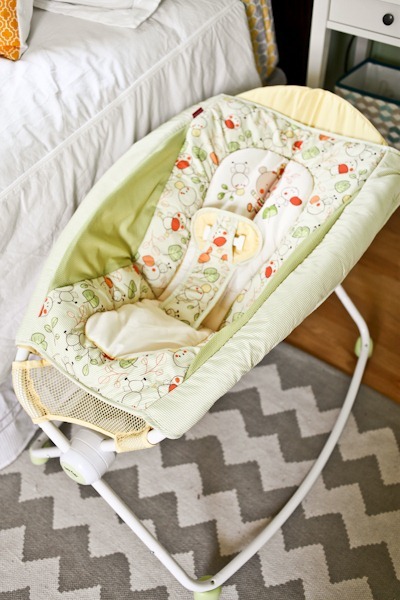 I really love it b/c 1) it is easy to transport all around the house & great for a quick set down, 2) it rocks at tip of a finger (baby girl here HAS to be moving to fall asleep, sigh), 3) it solves a reflux issue for me. There just aren’t a lot of “safe” options out there for making sure a refluxer is “upright” or at an incline as much as possible during sleep. From what I’ve seen, this is the best one out there (nap nanny & wedges have either been recalled or had poor reviews), and I figure it is better than letting her sleep in my arms propped up on a blanket (that is the only other way she would sleep). However, let me say, there is no way I let her go in there unless she is buckled in (which is a pain b/c only swaddle blankets w/ the holes in them can be used with the buckles). I’ve seen much better reports about the “snugabunny” rockN’ plays being better for their heads. We just ensure she spends as much time as possible not laying on her head (in the sling, tummy time, ect). 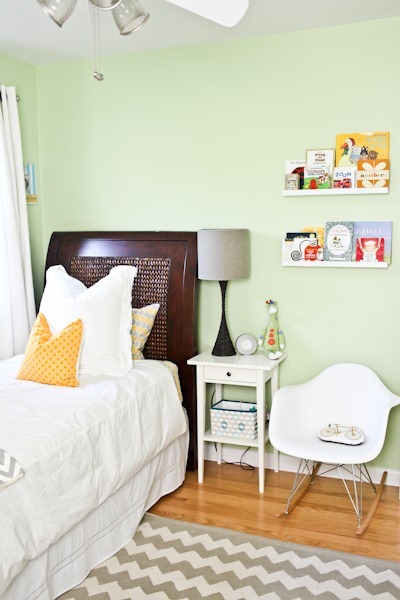 Your nursery is adorable by the way! And I keep stalking you to see if you are in labor 😀 My first baby was a September baby… so I remember this time well. GL!!!! Looks fun! I guess I would just have baby sleep in the crib mostly because I wouldn’t want to transition him out of something else, if that something else was a bassinet (or other flat surface) it wouldn’t be a big deal, but if the baby would sleep in the crib, that’s what I’d do. If you need the rock n play thing to have baby upright more (for reflux or something) then do it, otherwise I think you are better off putting them in the crib for that long period of nighttime sleep! I would love to do that… Just don’t know what to expect yet! 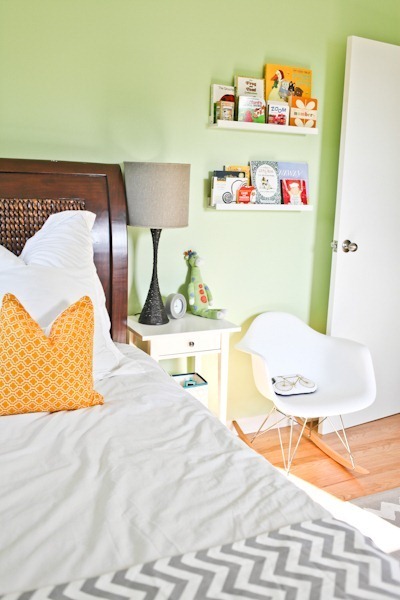 Love the nursery! 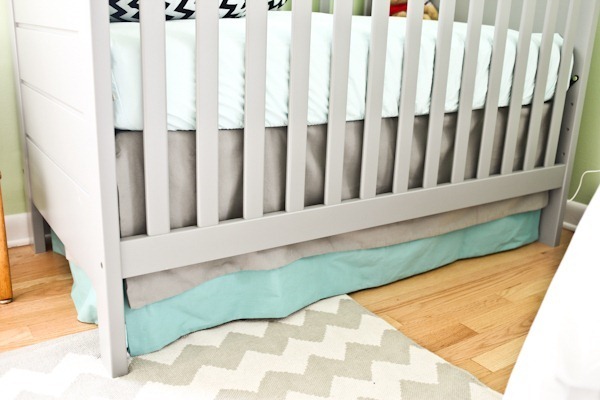 With my first child, I assumed we would just use the crib that first night home. He hated it!! I ended up using a bassinet by the bed, and there were lots of nights he slept in the small travel swing because that was what worked and I was exhausted!! I think you just do what works for you. 🙂 After several months in our room, he transitioned to the crib just fine. For baby number two we did the crib from the start worked out perfectly. With our first one oh Lord we did everything wrong. Live and learn. Like soothing her to sleep stories you name it the kid was four years old and what a pain it became to have to coax her to sleep. Well along came the next one and bless his heart we were like ok heres your bed baby, fed him changed him and all was good. 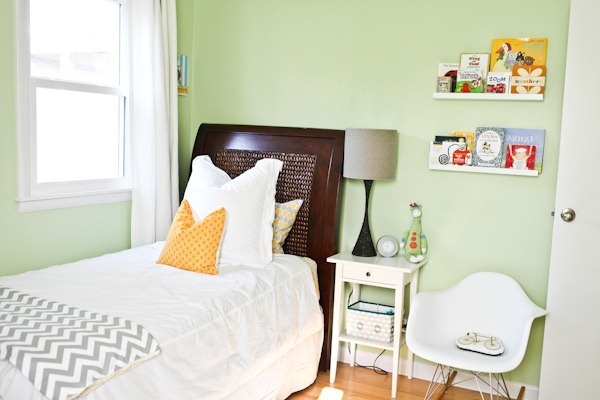 your nursery is bright and cheery, exactly how I think a little baby’s room should be – full of light and life and brightness 🙂 Beautiful job, Kath! Our little man loves the rock and play and seems ok in it. Our Ped. did encourage us to switch him over to the crib at around 2 months. I also wear him in a sling when we are out vs. keep him in the car-seat and he also naps in the swing as well as on me and just uses it at night. I think as long as you switch it up which it seems like you are planning to do, he will be fine! It amazes me how organized you are!! I never really got hit with the nesting thing and I paid the price once Ryan was born. We used the Rock n play for a while and as long as he gets tummy time/naps other places during the day, you will be fine. 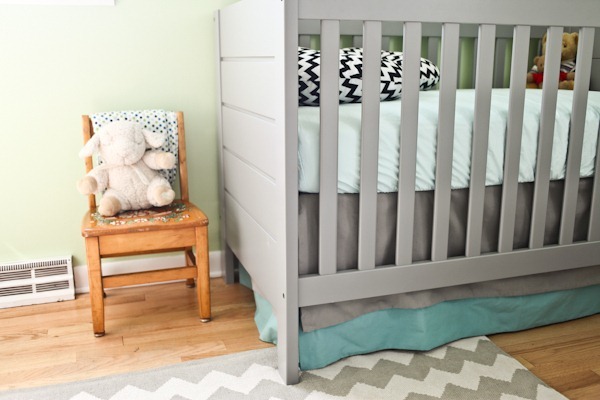 Also great move for you to move into the nursery vs. the other way around – you will thank yourself when you transfer the babe to the crib and he sleeps well. 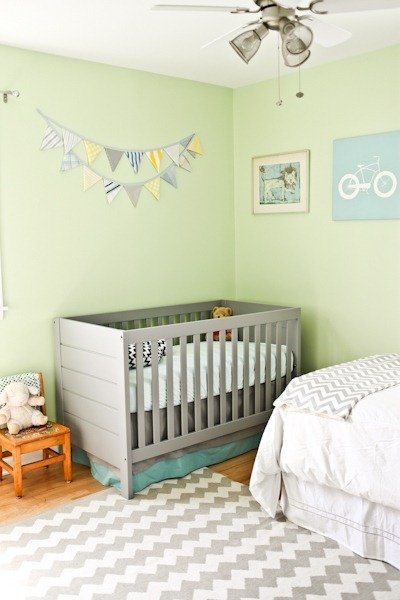 🙂 Lovely nursery – it’s so functional and looks amazing!! I LOVE the nursery!! And my only piece of advice? – You do what is best for your family. Use your intuition! You will be a great mama. Uh, as I was reading this post, Today Show announced a story of a pregnant woman’s due date is today-with her GRANDCHILD! <–So much to think about this. A mom is the surrogate of her daughter’s baby. My daughter, now almost 6, slept in a co-sleeper, bassinet, vibrating chair and in bed with us. I also am a fan of the tummy sleeping and baby burritos. 🙂 Mine slept better that way. Anyhow, you will find many ways or one way to please your baby. Just know that your intuation is key. 🙂 I am praying for you/baby/family and good luck! Yes! My babies have slept in lots of different things and have been held in lots of different wraps, slings, etc. It IS about common sense and being aware! This will be absolutely wonderful, Kath. 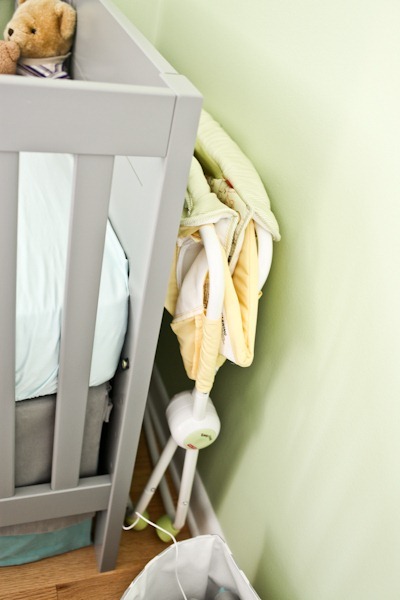 Just curious, if you are planning on sleeping in the nursery, are you planning on handling all the nighttime wakeups on your own? We liked having the baby in our room because dad could be more involved. I would usually nurse, then my husband would handle the diaper/clothes change afterwards. It definitely made us feel like more of a team. Just wondering how that would work if one of us had been sleeping in a different room. I’m planning to handle them myself eventually. He goes to work everyday, I am able to nap. And there are 1,000 other ways he can be an involved dad. But in the early weeks, when I think I will definitely need more help, I’m not quite sure yet what we’ll do. I totally agree with you that there are thousands of other ways for Matt to be involved (refer to my other comment re breast pumps!) – night feeds really aren’t too bad – it’s the times when your baby doesn’t need feeding, but refuses to settle that are difficult! Don’t forget to nurture YOUR relationship with Matt though! Emotions can play havoc on a new mom (and dad), and the closeness of sleeping (actual sleeping!) with your partner is something I consider to be very important. My advice is not to allow sleeping apart to form a wedge between the two of you. It might not sound like a big deal now, but if you can try to get your baby into good sleeping habits early, you’ll be doing yourself (and Matt) a huge favour! I’d encourage you to stay in your own bed, and just relocate for night time feeds and awake periods as necessary. I breastfed all of my kids until they were 2, had them sleep in my room (bassinet or similar) for the first 6-8 months (then had them in their cribs and sleeping through the night by 12 months), and spent most days baby-wearing until they could sit/crawl/walk by themselves. I’m not a complete hippy-earth-mother, but I certainly took on board a lot of attachment parenting philosophies. Find the balance that works for you! I, too, would encourage staying in your own bed as much as possible. I had pretty strong post-partum blues (probably PPD, but not diagnosed…); I think much of it stemmed from the fact that I felt like my husband and I would never feel like “us” again. I spent several weeks sleeping in a separate room with the baby and handling all of the night feedings, even though we were using a bottle. That, coupled with raging hormones, was exhausting and so very isolating. Even with the baby in my arms, I felt so alone. I noticed a huge shift when we moved the little one to his crib in his nursery and I returned to the comfort of sleeping with my husband. Even though you are asleep, that time is precious. Every couple is different. Ill cross that bridge if we get there. EXACTLY, Kath. … and every post-partum experience is different. Changes can always be made, if needed. I love your organization! Everything looks so neat, and perfectly ready for baby. Thanks for sharing with us. Beautiful room! No diaper pail? What do you plan to do with the soiled diapers? I know it’s been touched on, but about the sleeper thing – my husband and I live with my parents, and so we have the crib in our room with us. I’ve put Molly in the crib since she was born, and she’s always been a mover. Looking back now, it would have been hard to keep her in one position while she’s sleeping. Of course, the first week or so there was a lot of sleeping with her on my chest while in the recliner, but maybe you could try to put the baby in the crib during the night, and only use the sleeper for nap times or something since you’d like to use it at some point. Just my 2 cents from my experience. 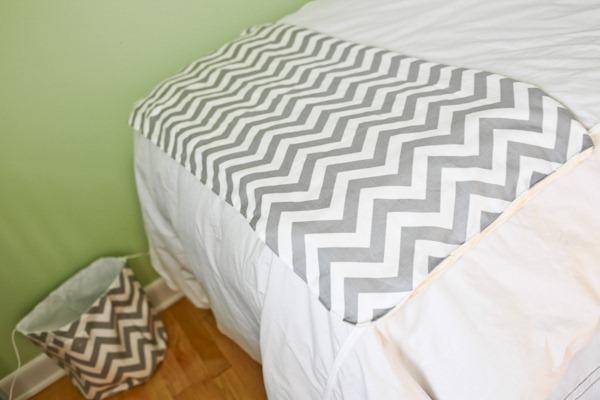 Hey, just FYI, the link to the duvet cover and bed skirt by Pottery Barn goes to the IKEA closet shelving. Great room! 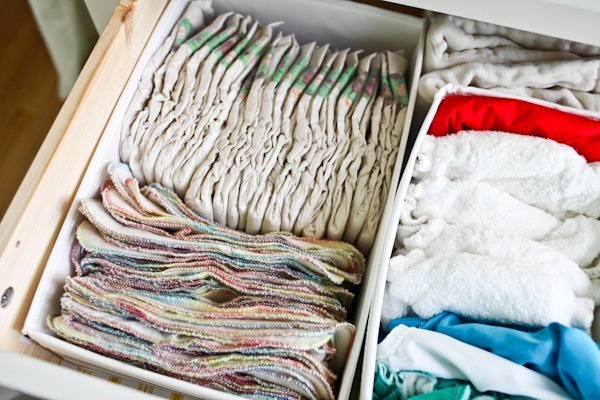 I’m also getting ready for my first (I’m a few weeks behind you) and I had a couple questions… Will you use a separate hamper for baby clothes? Also, can you share what toiletries you got ahead of time to prepare? Even though you will retire from babykerf.com after your little guy comes, will you pretty please do a couple updates for us on afterthoughts/reflections? I love his nursery. 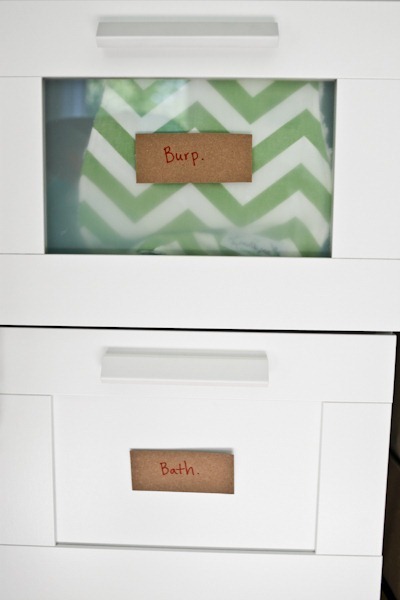 After having my first baby shower we are just starting to get things organized in the nursery. 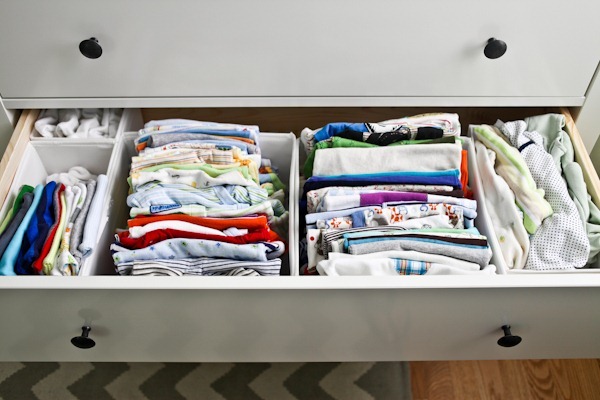 Where did you get the organizing boxes in the dresser drawers? I’ve been looking for some that are decent quality and don’t cost a fortune. Ikea… they are cheap there. But maybe Bed, Bath and Beyond would have similar ones? oh awesome! 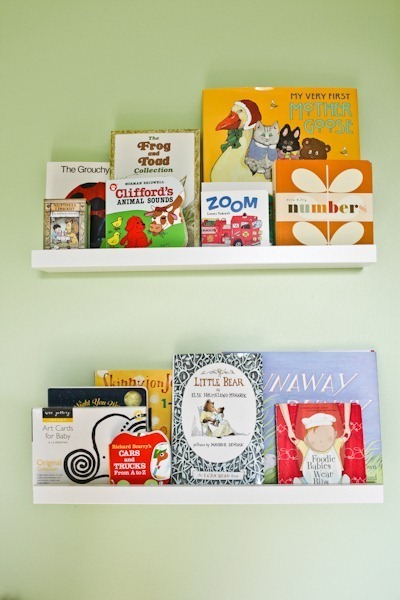 We’ll be at Ikea this weekend buying baby boy a storage shelf so I’ll keep an eye out for them. I loved that rug so much in your pictures that we purchased it, too! 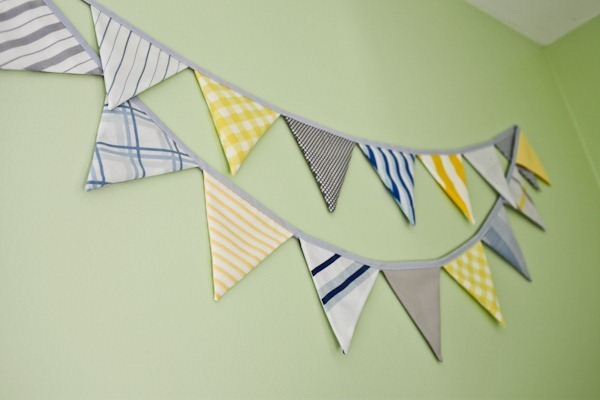 We absolutely love how it looks in our room but did yours have a funky chemical smell to it? Wondering if it just needs to air out more? We’ve had it for a few months already, though. we have had the ikea Ps 2012 chest of drawers for 4 months now and the toxic off-gassing is not going away. we love the design, and it took hours to put together, we’re so disappointed. It is so amazing to me how much you’ve done to get prepared. As someone who doesn’t have any kids yet, it’s really astonishing to me how much there is to do. Seems like you’ve got every single last detail worked out! Love it! 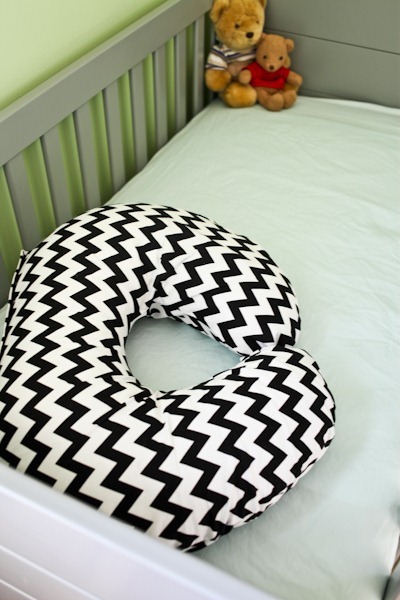 It’s so funny–we have a lot of the same stuff, right down to the chevron changing pad cover (different colors, but still). 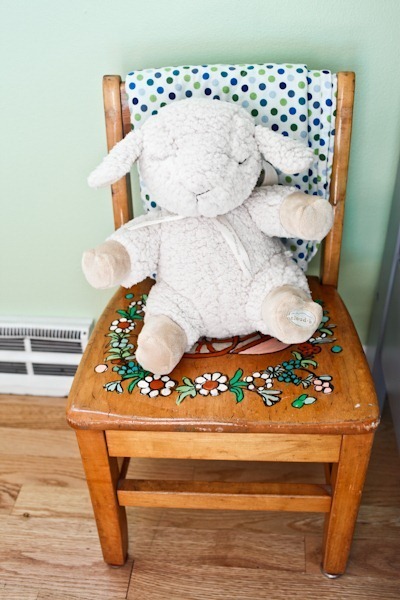 I can’t wait to post our nursery tour–hopefully very soon! Looks fantastic! Now it just needs a sweet baby boy! LOVE, Kath. Love. It turned out really great and it’s such a fun, yet peaceful room. 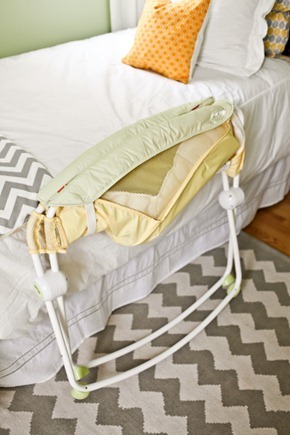 And PS: Those Rock ‘N Play sleepers — all my friends use them and say they’re great. The thing is, there are recalls and all kinds of stuff on EVERYTHING at some point. It’s insane. The bumbo even just had a recall, but Ada survived using hers. Hah. Just go with what you feel comfortable with. Seriously. I noticed you have “The Runaway Bunny”, it is one of our favorites, also a must haves are “Goodnight Moon”, and “I’ll love you forever”. Our little guy loves them! They are Ikea and I wish I had bought more! Well said Ashley!!! The room looks gorgeous Kath, you are quite the homemaker and I’m sure the little guy will grow to love it. It’s the 31st here in Australia so “officially” you should of had him today. Will check things out over the weekend, good luck. What an awesome post! I love the nursery. I’m currently 14 weeks pregnant, and this very organized nursery will definitely be used for inspiration! You definitely have to let us know how the cloth diapers work out. I’ve decided to try them out as well. So excited to meet your baby soon! 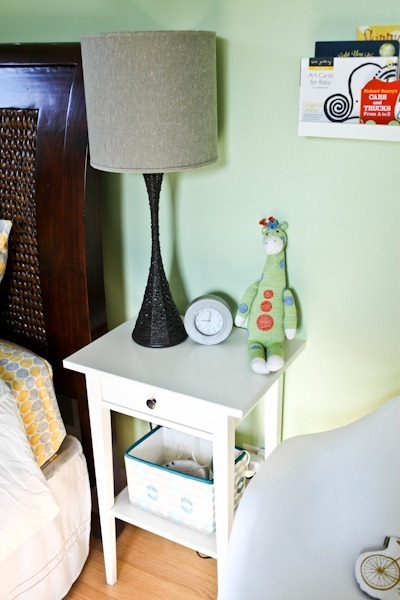 I know this is totally off topic – but I love your nightstand clock! I’ve honestly been looking for months for a classic modern clock. Sad, I know. Please tell me where you got it! It’s a Sony Dream Machine that I’ve had for about 10 years… Or more! No idea where I bought it though.. Target? It’s a good alarm! Absolutely beautiful. 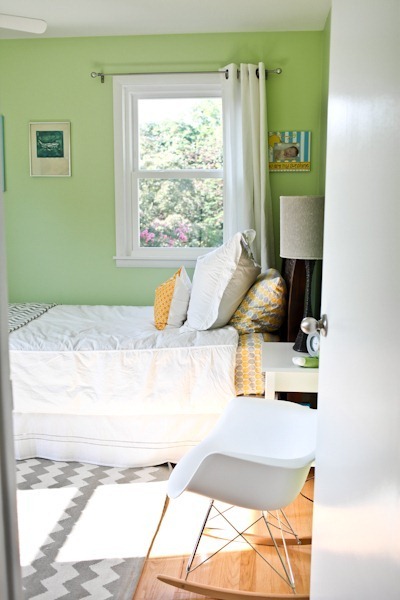 Love how bright this room is! I feel like pinning all these photos onto Pinterest – so lovely! 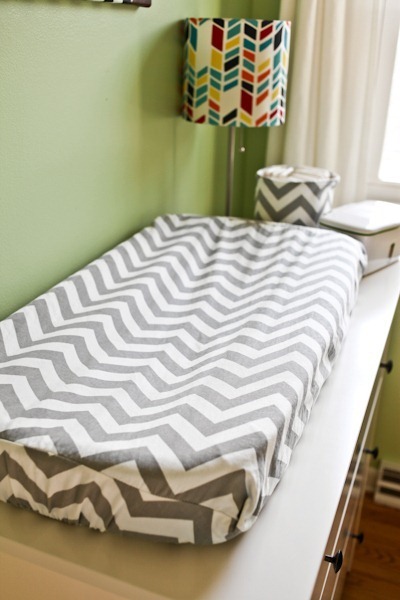 the changing pad to the dresser? Hey ! I was wondering if you know the dimensions of your room 🙂 I am trying to plan a nursery, and I want to include a single bed in it, but I am trying to imagine how it will all fit in my space. 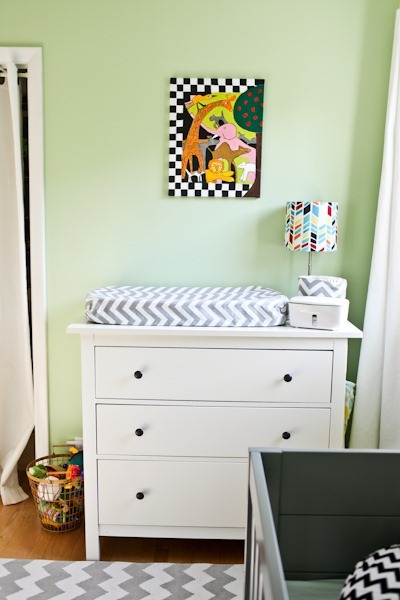 From the photos it seems like everything flows quite nicely in your nursery! Hi! 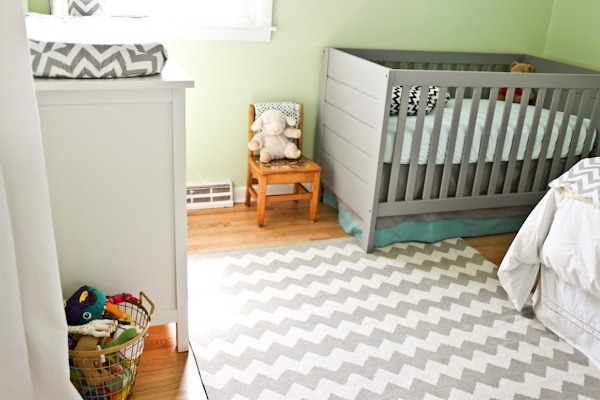 Beautiful nursery! 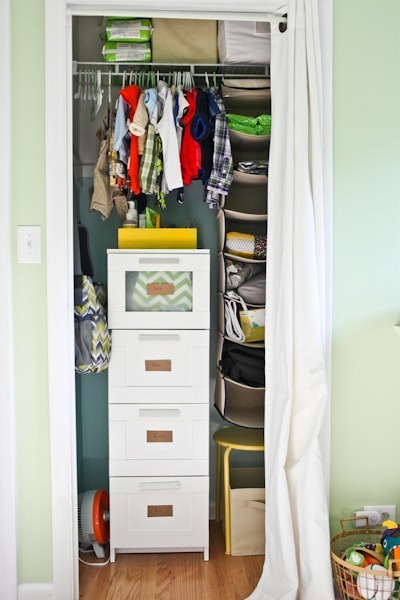 I don’t think I saw this listed, but do you remember where you got the dresser organizing bins? Oh okay, thanks! Do you remember which shop? I’ve been trying so hard to find some that’d fit nicely in our dresser. The IKEA ones I like won’t work well.